If you’ve read any of my blogs, you’ll know that my passion for empowering youth extends far beyond the classroom walls. Although the majority of my work is in an education setting, I also have the great fortune of sharing leadership principles with young athletes throughout the state of Arizona. I refer to this process as preparation for The Game Within The Game. 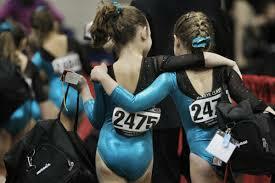 A few weeks ago, I met with a large group of elite gymnasts at Gold Medal Gymnastics in Chandler, Arizona. As part of their season kick-off, my goal was to provide them with four essential questions that would serve as a reflective tool throughout the season. Like most of the material I share, these questions are equally important to non-athletes as well. Whether it’s school or sports, self-reflection is an essential component of success. Below are the Four Essential Questions that every young athlete (or student) can use as a reflective tool throughout the year. QUESTION 1: Are my thoughts aligned with my goals? Simply put, your thoughts influence everything you do. While it’s important to have a set of goals, it’s equally important to align your thoughts with those goals. Think of your goal as an ideal destination (i.e. perfect score in a meet). In order to get to this destination, you’ll need two things: a vehicle and fuel. You are the vehicle and your thoughts are the fuel. Thankfully, you get to decide what kind of fuel to use. My coaches just want to make me better. My coaches are always picking on me. QUESTION 2: Is my effort consistent, regardless of who’s watching? The way you practice is the way you’ll compete. The true mark of an athlete is their work ethic outside of the spotlight. It’s easy to shine when others are watching, but the effort you demonstrate when no one is watching will ultimately shape your success. I do what the coaches ask. I only do what I feel like doing. I need my coaches to motivate me. QUESTION 3: Am I embracing (and learning from) my losses or failures? Every successful athlete has failed at some point in their athletic career. Some are paralyzed by their failures, while others use them as springboards toward future success. Simply put, the way you “see” your failures will determine your level of success. I want to be better than I was the day before. A medal (or place) doesn’t define me as a gymnast. Why do I keep losing to her? I can’t seem to win anything. QUESTION 4: Am I influencing my team in a positive way? While your thoughts influence your individual success, your actions influence the team’s success. You have the power to make each other greater by focusing on the questions above. Your attitude and your effort are contagious. Do you want your teammates to catch yours? I’m aware that my words and actions matter. I show others the proper attitude and effort. I pay attention to the little things. My words and actions don’t matter. I tell others about proper attitude and effort. I only do what I have to do. If your child participates in athletics and you’d like to learn more about my Game Within The Game workshops for youth sports teams, please contact me at mike@kaleidoeye.com.